Beachside destinations, Goa: Goa definitely leads the list of most romantic getaways for those who are looking forward to an exotic island retreat to spend some quality time with their partners. It is a fun and fantastic beachside holiday destination and is ideal for brief romantic escapades with your beloved. Alappuzha, Kerala: God’s own country Kerala is undoubtedly one of the most romantic weekend getaways in India. Whether it is its proximity to the nature or the amazing houseboat ride across the canals which meander through the region, visiting Alappuzha in Kerala can be a rather enthralling and entertaining experience. It is best place to visit for a weekend trip if you want to enjoy a peaceful escape on a riverside. Udaipur, Rajasthan: A resplendent destination to celebrate love, Udaipur in Rajasthan and its majestic beauty has been attracting travelers from around the world since a long time. 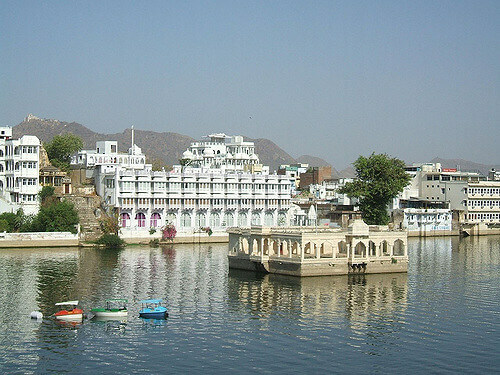 Mystic as it is, every time you visit Udaipur you will feel a new wonder unfold in front of your eyes. The vintage charm, royal ambience and luxurious stays make trip to Rajasthan one of the most wonderful experiences to cherish with your loved ones. Srinagar, Kashmir: Srinagar in Kashmir is the quintessential romantic getaway. The quite seclusion of spending a few quaint days in the lap of the mighty Himalayas can replenish your mind and soul for many days to come. Going for Kashmir holidays indeed is a best way to spend some quality time with your partner, away from the hustle and bustle of the city. Lonavla, Maharashtra: Located in the lap of beauteous Western Ghats, Lonavla is a true emerald among the most exotic places to visit in India. The picturesque countryside of Maharashtra is a perfect weekend destination for romantic getaway with your partner. Thinking of making your travel plans for the coming weekend? Here are few getaways in India that you could possible consider visiting.